Wagon Wheels, Cannon Wheels, and Carriage Wheels come in all sizes and shapes, we have designed this information page to assist you in determining the type of Wagon Wheel that is right for your project. 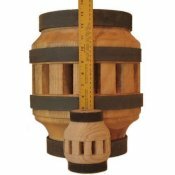 A Wagon Wheel is not only our name, it is our commitment to build the best quality hickory wood Wagon Wheels, Cannon Wheels, Carriage Wheels, Wagons, Wagon Wheel Chandeliers and Wagon Wheel Hub Lamps you can buy, our business spans over forty five years of building the best quality wood products. Wagon Wheel is not just a part of our name, it is our business! We sell thousands of Wagon Wheels, Cannon Wheels, and Carriage Wheels each year. You will find our hickory wood Wagon Wheels, Cannon Wheels, Carriage Wheels, Wagons, Wagon Wheel Chandeliers and Wagon Wheel Hub Lamps in the movies, on the beach at resorts, in university theater groups, theme parks, at work in Central Park, on working wagons everywhere, our Wagon Wheels, Cannon Wheels, and Carriage Wheels, are on Broadway in theaters. We even have a Wagon Wheel in a Wal Mart sign in Texas. All of our Wagon Wheels, Cannon Wheels, and Carriage Wheels, are hand crafted and quality made from the finest USA hardwoods. Our Wagon Wheels, Cannon Wheels, and Carriage Wheels, are made with solid steam-bent hickory hardwood construction and hickory hardwood spokes. All of our Wagon Wheels, Cannon Wheels, and Carriage Wheels, have forge shrunk steel rims, most can also be ordered with rubber tire, flat or rolled, rims. The normal felloes width on our Wagon Wheels range from 1" - 2 1/2". We can custom make the width on any of our Wagon Wheel to match the needs of your project. The width and depth of the felloe must remain in proportion. A 2" wide fellows should have a 1 1/2 - 2" depth. 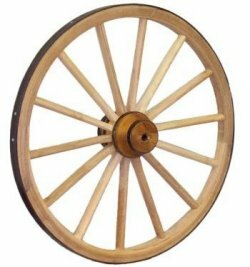 Our Wood Wagon Wheels have 8, 10, 12, 14, or 16 spokes depending on the size of the wheel and what the wheel will be used for. The number of spokes must be in relationship to the size of the Wagon Wheels. There are three types of tires on our Wood Wagon Wheel, forge shrunk steel tires, flat rubber tires, and rolled rubber tires. We can place any type tire on any of our Wagon Wheels to fit your project needs. Rubber, flat or rolled, can be added to any of the Wagon Wheels we make. Rubber not only makes less noise on pavement than steel tires, the wheel rolls better which makes it easier to pull. 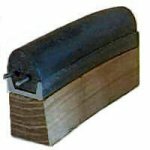 Rubber will last for 2000 -4000 miles before having to be replaced, depending on surface and conditions. Adding rubber will increase the wheel size by approximately 2" please allow for the increase when ordering Wagon Wheels. If you add rubber to a 32" wheel, it will be 34" after the rubber. Wagon Wheel Wood Hub, medium duty and heavy duty for an original wooden wagon wheel look and light to heavy use. Wood hubs can be used with a boxing, bearings or oil soaked brass inserts. We offer a large selection of wood hubs in all sizes. We build our hubs from select Ash. Weight limit on wood hubs depends on the size of the wagon wheels and hubs.. We can also custom build any size wood hub to meet your project needs, up to 2000 pounds. 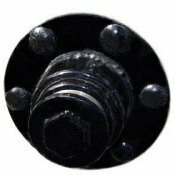 PA Bolt Carriage Wheel Steel Hub used on Amish Buggies and Carriages and Buggies and Carriages around the world, 16 hickory spokes. 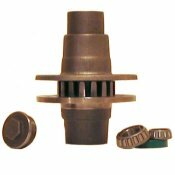 When used with bearings, the hub and wheel can be used for medium to light heavy duty and on-road use. Weight limit on PA Bolt Carriage Wheel with steel hubs and bearings, 500 - 700 pounds per wheel. FA Bolt Carriage Heavy Duty Wheel Steel Hub used on heavy duty Amish Buggies and Heavy Duty Carriages and Buggies and Carriages around the world, 16 hickory wood spokes. When used with bearings, the hub and wheel can be used for medium to light heavy duty and on-road use. Weight limit on FA Bolt Carriage Wheel with steel hubs and bearings, 700 - 1000 pounds per wheel. Sealed Bearing Carriage Wheel Steel Hub is a scaled down version of our large Carriage Wheel, powder coated hub, 12 spokes hickory wood. Designed to be used on miniature horse carts, venders carts, and antique carts. This wheel comes with (2) 3/4" i. d. sealed bearings inside the hub which makes for easy pulling for miniatures, can be used for road use.. Weight limit on Sealed Bearing Carriage Wheel with steel hubs, 500 pounds per wheel. 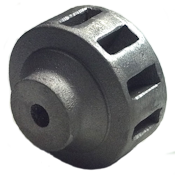 Wagon Wheel Solid Aluminum Hub for light off-road and ornamental use. For light off-road use, wheel must have oil soaked bronze bushing inserted in bore, 12 spokes hickory wood. This hub is ideal for venders carts for use in retail shops and stores as well as grocery store displays. The wheel is made from 100% solid American Hickory Wood with an Aluminum hub. Weight limit on Solid Aluminum Hub Wheel, 500 pounds per wheel. Wagon Wheel Solid Aluminum Lite Hub for ornamental use and light yard use. For light yard use, wheel must have oil soaked bronze bushing inserted in bore, 10 spokes hickory wood. This hub is ideal for venders carts for use in retail shops and stores as well as grocery store displays. The wheel is made from 100% solid American Hickory Wood with an Aluminum hub. Weight limit on Solid Aluminum Hub Wheel, 250 pounds per wheel. Yesterdays Handmade Steel Wagon Wheels, Handmade in the USA Today. For over 50 years Steel Wheels is what we do. That is why we sell more Steel Wheels than anyone else. Our Steel Wagon Wheels comes in seven sizes and can be used as decorative wagon wheels or functional wagon wheels. Rubber can be placed on our 36", 30", 24", 18", 14" 12" and 10" steel wagon wheels. Remember, when adding rubber, it adds two (2) inches of diameter to the wheels. Rubber can only be placed on our 1 inch wide wheels. Our 1 inch Steel Wheels come in 1" wide, 1/8 tire, 5/16 inch spokes, 1/2" axle bore in hub, depth of bore is 1.5”, measurements may vary very slightly. or 2 inch wide wheels, 3/16 thick tire, 3/8 inch spokes, 1/2 inch hub bore or 1 inch hub bore is available. 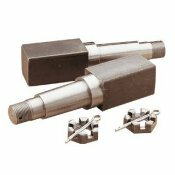 While we make a number of square solid steel axles with bearings optional in various lengths as well as various styles of Stub Axles. We also make Wood Wagon Axles as well. 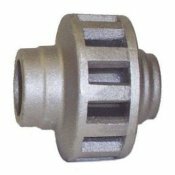 For pricing on all axles, full size and stubs in metal, as well as wood axles, please Contact Us. Most all carriage wheels, cannon wheels and wagon wheels have been dished, one of the main reasons the wheel is dished is strength. Dished wheels were invented by the Romans, from Egyptian time's war chariots were built with flat wheels or straight wheels; while this type of wheel was great for fast speed, making a turn with this type of wheel could not be done. If you made a turn with a straight wheel at high speeds it would put pressure on the hub and cause the wheel to fail. The Romans were superior engineers and knew that coming to a stop to make a turn was not the way to win a war. The Romans figured out that putting an iron tire on the wheel while it was hot and let it cool down would pull the wheel together and dish the wheel or cause the center of the hub to be off center not straight. With the wheel dished, it caused the hub to be braced by the spokes unlike the spokes in a straight wheel, the dish would offset the force that would be generated in a turn at a high speed and would allow war chariots to be efficient. Wagon wheels for the most part, have been made this way through the twentieth century.